Pink Street are pleased to present this four bedroom mid terrace house on Stubbington Avenue, Portsmouth. The property comprises of two receptions rooms, a large kitchen/diner, conservatory, four bedrooms, a bathroom and a good sized garden. This property would make an exciting project, whether you're a developer/investor or are just looking for a home you can really make your own.  Contact Pink Street today to arrange a viewing! 02392 864 555. RECEPTION ONE 16' 2" x 11' 6" (4.93m x 3.51m) Good sized reception room with a gas fireplace and original stained glass windows. CONSERVATORY 6' 9" x 6' 1" (2.06m x 1.85m) Great extra space. French doors leading to garden. KITCHEN/DINER 20' 5" x 9' 7" (6.22m x 2.92m) Large kitchen/diner with lino flooring and access to the garden. MASTER BEDROOM 15' 7" x 11' 9" (4.75m x 3.58m) Double bedroom overlooking front aspect. BEDROOM TWO 12' 0" x 11' 5" (3.66m x 3.48m) Double bedroom overlooking rear garden. BEDROOM THREE 11' 4" x 9' 8" (3.45m x 2.95m) Double bedroom overlooking rear garden. BEDROOM FOUR 8' 0" x 5' 9" (2.44m x 1.75m) Single bedroom/study. BATHROOM 6' 11" x 5' 4" (2.11m x 1.63m) Bathroom containing bath tub, hand basin and WC. GARDEN Good sized patioed garden with a brick built shed.